Dayton’s B652-Air is an updated release of its prior B652 speaker. Though the B652 was (and still actually is) quite popular and received high praise from the major publications, a few scrupulous enthusiasts noticed that it particularly under performed with the highs, and it ultimately turned out that there was a manufacturing flaw with the tweeter that actually resulted in some of the product being recalled. And so, a new B652 was created with an appending -AIR to denote a newly designed tweeter: the old standard dome has been upgraded to an AMT tweeter, which basically means the “cone” is kind of flat and folded rather than spherical. Other than that, the woofer and cabinet appear to be exactly the same as its predecessor. So, for a new tweeter and a little more money, you’re essentially getting the same budget speaker, which was quite cheap, even before the defect was revealed. 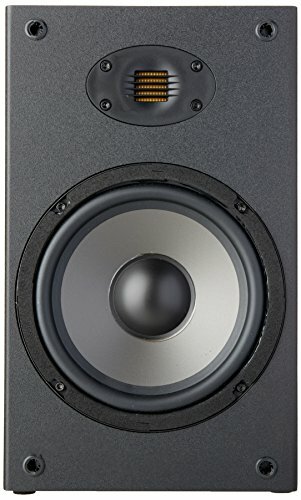 The power specs are decent, but not massive – these are meant for near/midfield listening, and would probably fall short as main satellites in a full sized home theater setting. Dayton also released a floorstanding version of this speaker (reviewed here) which has significantly more power handling, and we’d assume is intended to be the keystone of any system. Dayton’s quoted continuous/peak power ratio is definitely on the high side, which makes the lower 6 ohm impedance make sense. Basically, you get a speaker that can handle more driven power since it has less resistance, but that you’ll need a better receiver to drive that level of power. The response range is pretty standard for a two way bookshelf speaker. Dayton doesn’t specify a response curve variance, which generally means you can expect some drop off above the quoted response floor of 70 Hz, which is already on the high side. Basically, if you want full bass, you’ll probably want to pair a subwoofer with these. That’s usually the case with two way bookshelf speakers, and the truly good ones are generally intended to work with a subwoofer. In fact, Dayton actually makes some of our favorite subwoofers, which you can read about here. The cabinet is a pretty standard grain finish MDF, and while the exposed driver and still relatively novel AMT tweeter looks kind of neat, these otherwise look like very basic budget speakers when covered, which is pretty par of the course for all of Dayton’s speakers. Dayton speakers tend to be quite bulky and heavy, but not so much the B652-Air, probably due to the sealed design choice. 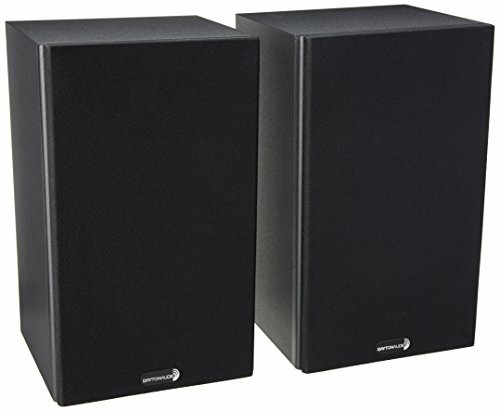 Dayton’s passive speakers have a 5 year warranty which is top of the line coverage for budget speakers. Pretty hard to go wrong with a pair of budget Dayton speakers, especially ones that, for not all that much more money, are a revamped improvement on a model that was already highly praised and quite popular (the non broken ones at least). Dayton is often the winner when it comes to getting solid specs at very modest prices. There are a few competitors that will give these a run for the money though, for sure. The best choice will probably come down to the best deal at the time, or maybe if you have particular feature/design preferences. Check out the links below for some alternative recommendations.